Obesity is a huge concern for people these days. Endoscopy Sleeve Gastroplasty is a cheaper method of taking care of weight. It also prevents you from weight loss diseases. Endoscopy sleeve gastroplasty is basically a newer type of weight-loss procedure. It helps to reduce the size of your stomach using an endoscopic suturing device without the need for surgery. This procedure is a good option for those who are significantly overweight, meaning those who have a body mass index of 30 or more. Of course for such people diet and exercise haven't worked for you. 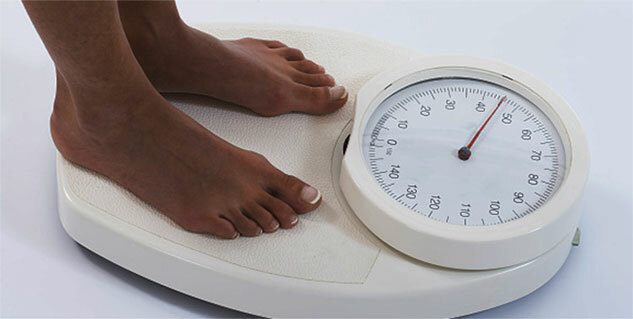 Endoscopy sleeve gastroplasty leads to significant weight loss. It helps you to lose weight by limiting how much you can eat, and also this procedure is minimally invasive, thus reducing the risk of operative complications. Like other weight-loss procedures, endoscopy sleeve gastroplasty requires commitment to a healthier lifestyle. You need to make permanent healthy changes to your diet, and get regular exercise to help ensure the long-term success of endoscopy sleeve gastroplasty. The Endoscopic Sleeve Gastroplastry is basically done so as to help people lose weight, and at the same time lower the risk of any weight related diseases. These include, Gastroesophageal reflux disease, heart disease and stroke, high blood pressure, sleep apnea, and type 2 diabetes. Endoscopy sleeve gastroplasty is done only after you have tried to lose weight by improving your diet and exercise habits. As we all know that obesity is a serious problem in the world today, and many people are at their wits end as to how to deal with it. Endoscopic sleeve gastroplasty is less invasive and relatively cheaper than other forms of bariatric surgery. This kind of a procedure is usually conducted on people after a screening process by the doctor; this is done to know if you are the right patient for the procedure. Here it is important to note that this procedure is not apt for those who are experiencing gastrointestinal bleeding, or those who have had previous stomach surgeries. In early studies on endoscopys sleeve gastroplasty, it has been seen that a favourable safety profile is taken. Pain and nausea may occur for several days after the procedure. These symptoms are usually managed with pain and nausea medications, but ultimately, most people feel better after two days. In addition, although it's not designed to be a temporary procedure, endoscopy sleeve gastroplasty can be reversed and converted to bariatric surgery. Because the procedure is still new and not in wide use, questions certainly remain about its long-term effectiveness and risks. It is very important that after the procedure is done, the person does not eat for eight hours minimum. Then slowly the food intake begins, starting with liquid diet, which has to be continued for two weeks. Then for over four weeks you'll move on to semi-solid foods, and then finally to a regular healthy diet. After the procedure, you will also have medical checkups and meet with a nutritionist and psychologist frequently for better results.